The visa for Cuba is rather controversial since there isn’t much information about it on the internet. So here’s my attempt at dispelling all doubts regarding entry requirements into Cuba for Indians. We travelled to Cuba in January 2012. Since we flew in from Mexico, we were able to purchase what they call a tourist card. This costed us 250 Mexican Pesos (approximately USD 20). The tourist card is available to anyone regardless of nationality. You simply buy it, fill in your details and you’re ready to arrive in Cuba. Present it at immigration in Cuba and they’ll let you in with a stamp on it. You need to keep this card with you until you leave Cuba. The tourist card acts as your visa for Cuba. You can also purchase the tourist card on board most flights to Cuba. If you’re flying in from another location, make sure you confirm with the airline that they do indeed have the cards available. If not, you can also purchase them just before immigration when you arrive at Havana airport. Just be careful to not make any mistakes while filling in your card. If you make an error, you will need to purchase a new card. So there you have it. No prior visa is required for Indians (or anyone else) traveling to Cuba. All you need is your passport, USD 20, and the spirit to enjoy a country that is truly unique in this day and age of globalization! There’s been a lot of speculation about whether this possibility still exists or not. Several readers have posted their experiences below. However, one of our readers did recently manage to buy the tourist card in a Mexican airport and then visit Cuba. So, it appears that this is still possible. It is not possible to buy the tourist card on most flights. Most airlines do not allow you to board without a tourist card. Hi Andrew. Most flights leaving from latin america will sell you a tourist card. Also, like I mentioned in the above post, you can actually buy it at the airport in Havana when you arrive. You just need to convince the airline of this little detail ;) I’m sure it can be done as they can call Havana airport and confirm in the worst case scenario. You just have to be confident of the info you have, and my info is 100% accurate at the time of writing. Thank you for the information. I have a Chinese passport, live in San Francisco (not a us resident). Do you mean I have to go to Mexico CIty/other cities in Mexico to get a tourist card for Cuba? I don’t really mind and if that’s the only option. And do they sell in the airport? or on the plane? They actually do sell the tourist card on arrival in Havana airport (the counters are right before immigration). The only issue is convincing your airline that you’ll buy one when you get there. (some airlines are very picky about things like this..). Since you’re in the US, you can’t actually fly directly to Cuba. This means you’ll either go through Canada or Mexico. Wherever you go through – you should be able to buy the card at the airport failing which you can always buy it when you arrive at Havana airport. I don’t think they sell cards in-flight but it’s definitely a possibility – usually they’ll sell it to you at the check-in counter at the airport of your departure. Hope this helps! Enjoy your travels in Cuba! If I buy my tickets online, I don’t think they check whether I have a visa or not so it should be fine. I’m quite sure that nobody (regardless of nationality) needs to apply for a visa in advance as long as you buy the tourist card. Also, it’s not when you buy your tickets that the airlines hassle you. It’s at the check-in counter that they usually check your documents. However, if you’re flying through Canada or Mexico, they will sell you the tourist card right there. As a Chinese national, I think you’re also exempt from the departure tax in Cuba – not totally sure about that though. hi am vasu am from bangalore india .. am planning to visit cuba in a couple of days .. where can i buy a teavel card from in india .. do i hv to go and gv a personal interview in the embassy ?? How are you going to travel to Cuba ? If you’re flying via UK, Canada, or Mexico, you can buy the card there before you board your flight to Cuba. Alternately, you can also buy it at immigration when you arrive in Havana. Hope this helps! What’s it like? I have spent a grand total of 4 weeks in Cuba. 2 one week and atnoher 2 weeks atnoher time. I lived like a native not a tourist.Cuba is a very poor country. It looks unkepted. Most homes look like they are falling apart. There is nothing to buy in the stores. The cars look like wrecks. The sidewalks are busted up. And everyone wears jeans.Life is dreary in Cuba. The place shutsdown at night. There is nothing to do. Entertainment on TV is poor. About the only thing to look forward to in Cuba is rerun of old American TV shows or movies.There are no commercial ads anywhere. Not on the streets or TV or radio. You go place to place and the only ads you do see are political slogans. There is no commercialism. No McDonalds or Burger Kings or Starbucks.Many women try to score with foriegn men in the hope that they can marry their way ou of Cuba. 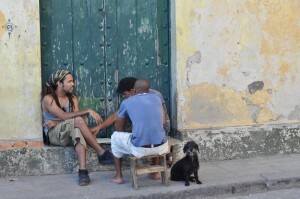 And many men try their best to sell tourist something like cigars.Cuba reminds me of Haiti. I have been in Haiti and you see the same desperation. The question isn’t eenlrtiy clear. Personal safety risks are insignificant as Cuba is one of the safest countries in the region. Risks associated to the U.S. legislation on Cuba (assuming you are a citizen or a legal permanent resident) would apply only insofar as you are caught violating the Helms-Burton Act, which doesn’t explicitly prohibit travel to Cuba, but prohibits any commercial transactions (including basic purchases while in Cuba) without the expressed consent by the OFAC (Office of Foreign Assets Control) in Miami.The chance of being denied entry into Cuba by Cuban authorities are nil, provided that you have a valid travel document, that you fill out a tourist card, and that you don’t carry prescribed substances or pose a threat to Cuban security. Could you please tell me country passport did you travel to Cuba with and what was the procedure to get the tourist card? Thank you for your helpful post. I am an Indian passport holder planning to travel to Cuba from the UK. Do any of the airlines give out tourist cards. Prathima – Thomas Cook and other tour operators include the tourist card in their prices. Scheduled airlines, I hear that Virgin sell them close to check-in. Otherwise you need to buy the tourist card in advance – from the Cuban consulate, or there is an online agency in the UK. Hi guys, just to add a bit more into it. You will need to get a tourist card before your flight, there is no way that any airline will allow you to board the plane without one. I believe there is a 5000 GBP penalty if they allow you to board the plane without a tourist visa, its likely they will not allow you to board if you do not have one. In the UK you can get it with the Cuban Consulate, however expect long queues and their opening times are from 09:30 to 12:30 hrs, if you arrive and apply for someone else non present there is a 19 GBP surcharge for non present applicant. 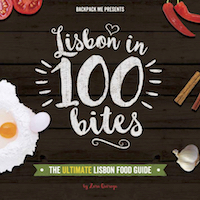 You can also buy it online for example http://www.cubavisa.uk or others. Hope it helps. r u sure flights allow us to board with out valid visa?? I am traveling to cuba in jan 2019. I am going to newyork n then to cuba. Is it possible to buy the tourist card on newyork airport? I have indian passport and am flying from taiwan-ny-cuba n Back. Please help. Thank u. Ur work is really great. There were many post over the past 2 years which covered your circumstances. The correct answer is that you need a visa issued by a Cuban Embassy. It is unlikely the airline will allow you to travel to Cuba on a Tourist Card. However, check the airline’s policy for your circumstances as some airlines are more lax with the rules. As Ashray says, if travelling to Cuba as a tourist, you just need the tourist card which can be bought at most gateway airports in Latin America (or gets given out on the planes from Canada) – it is more complicated if coming from Europe. My situation is a little different. I am currently in the process of getting my GC and am planning to go to Cuba next month. Will this affect my process of getting my GC? Will they decline it because I went to Cuba? And if the answer is, how will they know that I went to Cuba since I won’t have a Cuban stamp on my passport, then my question would be that there would be two entry stamps on my passport, how would I explain the second stamp to them? Especially since I’m pretty sure they’ll keenly look through my passport since I’m brown and not a US Citizen. I really want to go, but I’ve been getting very contradictory answers during my research. I think you’re being super paranoid. First of all, I believe the US embargo on citizens/residents traveling to Cuba was partially lifted earlier this year. However, I’m not an expert on US law by any measure so do please google this info. Where are you entering Cuba from ? Mexico for example does not stamp your passport on exit. So if you go through Mexico, there’s no evidence of when you left the country. The airline takes your entry slip and that serves as proof that you’ve left. There’s no evidence of when. Also, the likelihood of a US immigration officer noticing that you have two entry stamps is extremely low. Especially if those stamps are of a 3rd country. Different countries have different rules regarding stamping your passport and these are not standardized across the world. However, your story should be believable. Yes, I’ve done research on the embargo being partially lifted. It is still a difficult process, you need to get a license, costs more money, and there are way too many restrictions of what you can and cannot do. I do not believe it is worth the effort and money to get a license to travel to Cuba and then have restrictions to top it off. Don’t you? I mean IT IS a vacation. I am not traveling there with an agenda or for work. I am entering Cuba from Mexico. Your answer relieves me a bit. I pretty much have my entire life here in US – everyone who I love is here, so loosing my GC would be the end of my life (not really, but… you know what I mean :). The restriction apparently applies to everyone who is subject to US jurisdiction which includes all the residents of United States – Citizens, Permanent Residents, US Immigrants, Nonimmigrant aliens, etc. Thank You Ashray for your help and answering my questions :) Do let me know if you have any other tips. CuriousK – I don’t know what a GC is, but also you don’t say what is your current status. GC = Green card. I’m not sure what you mean when you “don’t say what is your current status”? You mean don’t talk about it to the immigration officers? Sorry – of course ! No – I mean are you in the US on a visa already ? If so, then depending on what visa, travel to Cuba might be prohibited. If not, then I can’t see what concern they could have of what you did before. I have no idea if they examine your passport in any detail. You really need to find others who have gone through that process. I thought so, but just making sure. I used to be on a visa, but currently I am on EAD, which makes it legal for me to live and work in US until they approve my GC. Which is what makes it hard for me to research about traveling to Cuba under my category. I practically don’t have a status in US but… I do, if that makes any sense? I am neither living in US on visa nor as a permanent resident/citizen, its a grey area. But like I said in reply to Ashray’s message – Any US resident, regardless of their status is restricted to travel to Cuba since they are all subject to US jurisdiction. This is the reason why I am just a tad bit afraid of going to Cuba. I’ve read quiet a few posts where they say it can possibly affect the outcome of your residency, but they doubt that it actually affects the results. Here’s an article about a nonimmigrant – visa status (not the same category as me, but I think it might work): http://www.lonelyplanet.com/thorntree/thread.jspa?threadID=2251675. Thanks for sharing, Ashray, this post is very helpful. I’m still a little paranoid about the airlines being okay with this. I’m an Indian citizen in the US on a visa. If I want to fly to Cuba through Mexico, should I first obtain a Mexican visa? In general, I do need a visa to visit Mexico and have obtained one in the past. Do I need one in this case, too? Will the airlines check me in at San Francisco airport if I don’t have a Mexican visa? Thanks! If you have a US visa you DO NOT need a visa for Mexico, in general. I don’t know when you last visited Mexico but visa free travel for Indians with US Visas has been in place for a couple of years now. This is clearly stated on the Mexico Embassy website. http://embamex.sre.gob.mx/india/index.php/en/consular-section/visas (this regulation also applies to tourist visas meaning if you have any class of US visa, you can enter Mexico without a visa). i am indianpassport holder residing in india… so what should i do to get my tourist visa for cuba??? The answer is in the post! If you have any specific questions that we could help with, let us know! On that page it says The tourist card is not valid to travel to Cuba from India for any nations. So I guess we need Visas now? 2. Will that be a problem when I travel to the US in a few days…i mean having a cuban visa stamped in my passport. That website does say some really strange stuff. I personally used a tourist card to enter Cuba and it was fine. However, maybe the difference was that I was flying in from Mexico ? I don’t see how the validity of the tourist card changes based on where you are arriving from. However, what is your route to Cuba ? Are you flying in through Mexico or Canada or where ? Also, they don’t stamp your passport in Cuba if you ask them not to so it won’t be a problem in the US. Besides, the US is now working on improving relations with Cuba so I highly doubt that your visit to Cuba will be an issue. hello sir my name is chhatwal daljit singh i am from india and i am having indian passport.i want to go to cuba as a tourist and want to tell you that the immigration officers here in india do not allow the people to board flight to havana without having visa in your hand. can you give some advice so that i can travel cuba peacefully and can enjoy my trip. However, if you are flying to Cuba from Mexico or another country (France) then you should simply present your credentials until there at Indian immigration and then buy the tourist card before you fly to Havana or right when you enter Havana. I am a graduate (PhD.) student and an Indian national (with an Indian passport) in the United States and have visited Mexico before without any problems (without requiring a visa, as I have a US visa). I really want to visit Cuba some time in the winter vacations. I was wondering if I’d have any problems re-entering the US given my graduate student status? Cuba doesn’t stamp your passport when you enter so there really isn’t any way for US immigration to know whether you necessarily visited Cuba or not. You could fly from the US to Mexico and then fly to Cuba. Then, when you’re done in Cuba, you can fly to a 3rd country – say Guatemala before you fly to the US. Mexico does not stamp passports on exit and Cuba does not stamp at all so it will look like you went to Mexico, then to Guatemala (make sure you enter and spend a day or two there..), before you returned to the US. If US immigration asks you where you went, it’s simple – Mexico and Guatemala. I am and Indian, residing in Spain (Not Permanent) with a valid residency card and wish to travel to Cuba. Now as you stated that you can buy the travel card, please advise me where can I buy this travel card in Spain. Do you get this travel card at the Airport. Secondly I hold a valid visa of 10 Years for US. Does that mean I do not require Visa for travelling to Mexico ? Thanks in advance for your reply. You can buy the travel card from the airline if your flight is direct to Cuba. The card is also available upon arrival right before immigration. Iam an iranian pasport holder how to get post card or visa. Mehul, it all depends on where you are flying through. Since there are no flights direct from India I can only assume you are either flying through Mexico/France/Canada/London/etc. Most of these transit points have the tourist card available prior to boarding. You can also buy the tourist card upon arrival as I have outlined in my post, however, most airlines use the timaticweb system for visa info and the system gives incorrect information saying that you must have the tourist card prior to boarding. Uhmmm hey its me I’m back again. 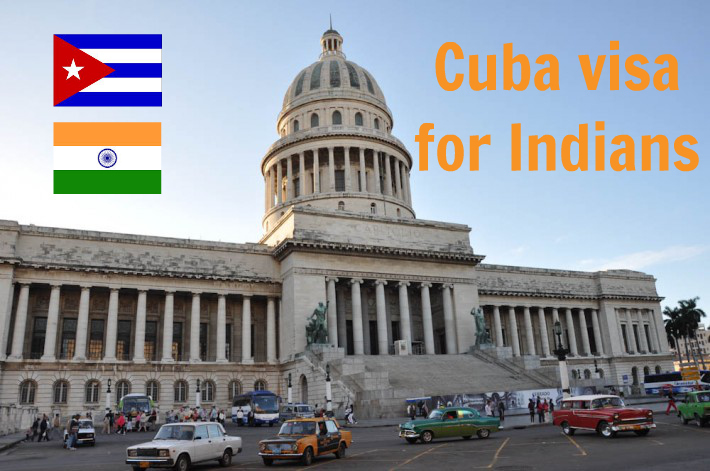 The link you on the Cuban visa for Indians : http://www.cubadiplomatica.cu/LinkClick.aspx?fileticket=52kAMSgavzE%3D&tabid=20393 . No.7 expressly specifies that the tourist card is not for Indians and one shall have to take a visa in advance. Would be glad to have some advise on this, if possible. Thanks for your kind comments. If you read carefully, it says that the tourist card isn’t valid for travel from India. It does not say that it’s not valid for Indian nationals. So, if you’re going through France or Mexico – you should be able to buy a tourist card before boarding your flight. Where are you flying to Cuba from ? I flew into Cuba from Mexico and bought the tourist card at the check-in counter (flew via Interjet) in Mexico City. There was no issue, but this was back in 2011. You could call the airline and ask if they sell it at boarding/check-in locations. i want to visit cuba as a tourist… please let me know.. how can i go to the cuba. and suggest some airlines which gives that tourist card..which you talking about.. and as u said.. there is no such direct flights to the cuba.. in that case how will i manage my journey… please do reply.. as soon as possible..
You can connect via Canada, France, UK, or Mexico. As far as I know, most of these countries sell tourist cards on departure (at the check-in counters). I don’t speak a Spanish word__going to be a problemo? The prices sound amazing ($20 to get in, $25 to get out). I was wondering how much to have on my purse, say, for a month of minmalistic stay. Spanish would be useful, of course.. but many other travelers don’t speak Spanish either and they survive just fine, so don’t worry too much! Accommodation in homestays (the most basic form of lodging you’ll find) tends to be between USD20 – USD25 a day (sometimes with breakfast, sometimes without) – these prices are actually government regulated. Meals can cost between USD1 in local joints to USD10 in regular touristic places. This should give you a general idea! i m indian student in canada and i wish to go cuba and what i have to do? plz can you suggest me. I will be very thankful to u. Were you able to figure out the exact process? Did you go to Cuba? I am in the exact same situation. Living in Canada and have Indian passport. Your website and comment are really helpful. I am an India citizen , working in USA and planning to go to Cuba via Toronto. However i have a specific question. As I am planning to flyout from totonto via Air Canada. Do AirCanada sells the Cuban tourist card. Will i have any issues getting through the security at the airport as i wont have any Cuban visa. I have been thinking of visiting Cuba with my husband. We are Indian citizens, born and brought up in India. We wanted to visit Cuba for couple of weeks. How do we go about obtaining a Cuban tourist visa? I appreciate your time and help on this matter. Hi Ashray – excellent & highly useful post. Keep ‘em coming! Thanks! I hope your PCC stuff got sorted. Being without a passport is probably my worst nightmare! I am also a Nepalese looking to travel Cuba . How did u sort out the things. K k process thiyo ? Ww donot have any embassay and no one have any idea . Please share your experience . Hi- im considering flying to cuba in the near future. I live in the states, but have an indian passport with a permanent residency card. Can I fly to Cuba just as easily from Miami and purchase the card there? Hi!! What a great blog! One of my dreams is to travel to Cuba and I was doing some research online on the best way to get there from India. This is such useful information! Thank you for sharing and happy travels! I hold indefinite leave to remain in the UK and hold a indian passport and booked all inclusive holiday with Thomas Cook. I have been asked to collect tourist cards from the airport at the time of the departure. Is there anything else I need to do other than filling tourist card? I am from Iraq and need to immigration to Cuba, what are the steps to do this and speaking only English. Im Indian living in Canada having work permit as status. I’m planning to visit cuba soon. Do I require visa for the same? Were you able to get the tourist card? What was the procedure? I live in Canada as well and planning to go to Cuba in February. Hi this is sunita i have an Indian passport i am planning to go to cuba through delhi aeroflot airlines and i have a bahamas residence card will transit in 12 hours can you please tell me if i need visa for cuba. Hi.. this is amazing blog. and your travels are fascinating. I have cuba on my bucket list and hope to get that crossed of this year. looking at how to get there from the US, most US based website do not seem to give flight options from here to Cuba. do you have suggestions? Fly via Mexico or Canada. It’s fairly straightforward to go through those countries. If you live in the US, Mexico is better because you don’t need a visa to enter. Me and my wife are planning to travel to cuba. We have Indian passports and live in Canada on work permit. Do we just buy tourist cards or have to get a visa before leaving? If you can buy the tourist card before departure, you do not need a visa. Ask your airline if they have these available at check-in or before boarding. My children 23 & 18 years old and me are Australian nationals, and my wife is Indian citizen holding Australian PR. We intend visiting Cuba in the month of July, please advise if we need visa. Currently we are based in Dubai. If you can buy a tourist card from the airline you do not need a visa. I am an indian citizen and i have canada visiting visa. Do i need a visa to travel to cuba from canada?? Hi Kittu did you manage to visit Cuba from Canada? I am an Indian national planning to visit Cuba from Canada too and hold a Canadian visit visa. Did you obtain the Cuba tourist card at Toronto airport or on-flight? Appreciate your urgent response. Thanks in advance. I am an Indian citizen and planning to reach Cayman islands via Havana,Cuba. I have a layover of 12 hours in Cuba and I don’t intend to leave the international transit area. Do I require any type of Visa for my layover period in Havana? Please suggest !! Hey! i have an Indian Passport, do you know if Flyijg from Colombia to Cuba, I wouldnt need a visa but only a tourist card? And that I will be able to but it at the airport in Bogota? You should be able to. Call your airline and ask. If not, you can buy it on arrival in Cuba. You should ask Aeroflot in Moscow. You can also get the tourist card at the airport in Havana just before immigration. There is a Cuban Consulatein Saudi Arabia that is responsible for providing Tourist Cards for UAE citizens and residents. I had called them and they asked me to courier them my documents including Passport to KSA! I am not comfortable with this though they claim to often process requests from UAE. I live in Dubai too. This is when I landed upon this blog which states that Visa cards can be purchased before immigrations or from the Latin America airlines. flying to Cuba from Peru. P.S: Your blogs are really helpful. Keep up the great work. You can buy the tourist card in Lima either in the city or at the airport. If you a google a little bit you should be able to find your options. There are many tripadvisor threads with details on where to buy them. I am a Nepali citizen . I am in Nepal now. I am planning to go to Cuba for a holiday next week. The problem with me is that this country donot have Cuba embassy or a consulate . So in this case can I get a tourist card from a different country and just book the tickets and fly without applying for a visa. Please help me . I am running around from last one week and still helpless. hello.. thanks for the wonderful infor..
Well, i am an indian national and gonna fly to Havana from Amsterdam (Europe).. So, has anybody flew to Cuba from Europe?? can i buy the card at Amsterdam/Frankfurt airport? And nationality doesnt matter while purchasing cuba card, right?? I am going to mexico city end of next month and flying aeromexico from there to havana. after reading your great post, I thought I was all set. buy the tourist card at MEX and board the flight. But today I read the following on the aeromexico website. Citizens of certain countries must purchase the Tourist Card directly at the Cuban consulate in their country of origin. Purchase at the airport is not available for the following countries: Sub-Saharan Africa, India, Sri Lanka, the Philippines, Iraq, Iran, Algeria, Tunisia, Libya, Egypt, Yemen, Afghanistan, Bangladesh, Nepal, Pakistan, Syria, Fujian Province, China. So either I apply to the consulate at Delhi and pay their high fees or try convincing the airline to let me travel without a tourist card so that I can purchase one on arrival. Strange but this rule was not there until now. Aeromexico might have stopped selling tourist cards to Indians for various reasons. There are other airlines and travel agencies who still might sell you one. You could call Interjet and ask them if they have such a policy. I was looking at the same comment on aeromexico website and was wondering what if Interjet people dont provide us a tourist card at the airport. Also this tourist card is just a piece of paper and not tied to anybody’s passport, I am sure we can get someone else buy it for us? or buy from a middleman by paying a few extra $s? Very informative blog / site. Thanks for all the effort. 1. Given that our child is an American citizen, will we have any problems getting a Cuba tourist card for him at Cancun airport? If this itinerary works out, this will actually be much cheaper way to travel to Cuba for now, untill commercial airlines from US start operations. I am an Indian national, presently visiting US on a B1/B2 visa. I am a resident of UK and have a valid UK residence card. I wish to travel to Cuba from US and looking at booking my tickets to Cuba through Mexico on aeromexico. I wanted to know if I can just go and purchase a tourist card from Mexico city airport being an Indian national. Please let me know at your earliest convenience so I can plan my visit accordingly. Thank you for contacting Aeroméxico. The tourist card can be purchased at the airport in México City and the price is around 30.00 USD. As long as you have a valid passport and the UK residence, no other documents will be needed. We recommend you to arrive at the airport at least 3 HRS before departure so that you can aquire the tourist card. So I suppose it should not be difficult to get the tourist card if you have a UK residence card or I am assuming a valid US visa/green card? Here’s the response from InterJet…. so finally some clarity on Cuba Tourist card. We are a family of 3 planning to visit Cuba (La Habana) from Cancun flying on 02 July 2016, and would like some clarification on the Cuban tourist card. Will we be able to purchase the Cuban Tourist Card at the Cancun airport? We appreciate the time you have spent to send us your e-mail. In reference to your question, you can get the visa (tourist card) for Cuba at the Interjet counter, just by showing your passport and reservation code, the charge will be $250.00 mxn, in USD will be at the regular money exchange that is available at that moment, this is per person, each passenger needs to fill out the form for the visa and be advised to be careful at the moment of filling the form out, because if there is an error on the written information, you will be asked to pay for another visa. Any additional information you might need can be verified directly with the Cuban Embassy in your local area, since Interjet only provides de Air Transportation. For Indian plz visit embassy website regarding all visa related information. Thanks Rahul, Find perfect Solution for Cuba for Indian Citizen. If you are an Indian Citizen. Visa is mandatory for you. Indian passport holder cannot travel to Cuba with a tourist card. I tried to board a flight from Mexico to Cuba. They did not issue me a Travel card. They said certain nationality need Visa from embassy. I called Cuban embassy and they confirmed it. I need to apply Visa from Cuban embassy in Mexico. I will keep you updated. Did you have a return ticket? There are several recent reports above on people still getting the tourist card, either for purchase in Mexico, or at the airline counter in the airport. The Cuban embassy has been saying the same thing for many years but the actual rules are different. The PDF you have linked has been the same for more than five years. The information that the embassy has been providing has been inaccurate for a long time. Even the airline information systems clearly say that Indians can travel with a tourist card sold by authorized airlines. Finally. Traveled to Cuba. Too much inquiry at airport. at least 5 people came and checked my passport, visa and a lot of questions. May be because I only traveled for the weekend. there is no need to pay $25 to exit Cuba anymore. Taxi is costly. from Airport to center costs $25. Good option for stay is to check on homestay.com. Internet is a problem. There are hotspots to use internet. get a card $3 for 1 hour. That’s a shame, especially considering you don’t even need to get a visa in the first place. So you are saying that you had to apply for a separate visa? how much did that cost and how long did it take for it to arrive? I am pakistani national residing in Bahrain as an investor. Is the tourist card effective for me also. If yes, where shoud i get it because airline will ask for the visa for boarding. What is the source of accurate information. Hi Ashray…I m Indian citizen with Indian passport. I want to visit cuba on medical visa for treatment of lung cancer at the earliest. Is a medical visa possible? And do you have any info related to hospitals in Cuba where I can contact for further information? Your information would be greatly appreciated. Thanks in advance ! Sorry to learn about your situation. I don’t know anything about medical visas but you could contact the Cuban consulate and ask. I just went to Cuba as a tourist so unfortunately that’s all I know about. Hi all.I am keenly following these posts.I am an Indian citizen, staying in Cochin. having 10yr B1/B2 visa to US. plan to go Cuba in Oct/Nov ,preferably via Mexico.Has any one gone to Cuba with a Tourist Card.Please enlighten the current visa situation for Indians. You may email Interjet or Aeromexico with your details and ask them as well. This is Asia Press Reporter based @Afghanistan. i am an Afghanian national and gonna fly to Havana from Delhi, is this possible? i already have a tourist card right now. i was purchase it from a travel agency based in but i am not sure that i can fly with this paper to cuba or not. what can i do? what’s updates about traveling to cuba? i’m soo much worry. maybe they don’t let me to fly with this tourist card, because i don’t have Cuba Visa. tomorrow is my flight to delhi, if here is any problem and i can’t fly from IGI airport so please let me know for cancelling my tomorrow flight to India. If you hold a tourist card and are traveling to Cuba as a tourist it should not be an issue. However, you might have to prove to the airline that this is the case. A return air ticket, some hotel bookings, etc will definitely help. Thanks for your patience answering everyone’s questions. It’s nice to see other Indians who’ve travelled so much! I’m going to Havana from Mexico (Cancun) in October 2016 and trying to figure out the visa process. My local embassy has been useless (I live in Nairobi) so it would be amazing if I can just buy it in Mexico. Your original post is from 2012 so with this message I’m trying to figure out if the situation is still the same now as it was back then – i.e. that I can buy the tourist card in Mexico or on arrival in Havana. Do you know for sure if the situation is still the same? This page used to mention a visa exemption for tourist card holders earlier but no longer does so. It’ll be prudent for you to get a visa before you travel. Thanks for the quick response. I had checked with IATA website of KLM and it had the same info as Emirates but I had interpreted that slightly differently so your response concerns me a little, as Cuba does not have a working embassy in Kenya (where I now live). I went to the Wikipedia page for Indian citizens, which has always served me well in the past, and that page seems to indicate that your original post is still valid (https://en.wikipedia.org/wiki/Visa_requirements_for_Indian_citizens#cite_note-55) and I can get the card en route in Mexico. I will call the airline and see what they say, but given I already have my ticket and there is no Cuban embassy where I live, what would you suggest I do? Take a chance anyway? Grateful for any recommendations as I’m now a little worried. Passengers with a Tourist Card (Tarjeta del Turista) issued to visitors traveling as tourists. It used to say the above for Indians too. You should definitely confirm with the airline that they will let you travel with a tourist card and even sell you one. Thanks again for all your help. I just used the live chat feature on Interjet’s website to chat with an agent who said I could buy the card in Mexico airport from their counter, no problem. I’m going to have to go with that because there is no Cuban embassy in Kenya, where I live. So cross your fingers for me! That’s great. Do please remember to post a comment here with your experience once you have visited Cuba. It looks like many visitors are confused these days because of conflicting information for Indians. It’d be really helpful! Have a great holiday! Great post – thanks very much. I do have a question. All posts and websites that talk about getting the tourist card mention that the card can be gotten at “gateway airports” or by flying on “authorized airlines.” However, I can’t seem to find a list of these airports and airlines. In my situation, I would be flying through Dubai (not a gateway airport?) on Emirates (an authorized airline?) directly to Havana. My country of residence (Sri Lanka) does have a Cuban embassy, but getting the card either in Dubai or from Emirates would be so much easier. Your best bet is to call Emirates and reconfirm that you can buy the tourist card before boarding the flight. As you requested, I’m publishing an update here to help anyone else in this situation. I was able to buy a Cuban visa at the Interjet Airlines counter in Cancun, paying 250 MXN (about $15) by credit card, without a problem. However, then things got a bit weird. When I arrived in Havana, I was approached by an immigration official before I arrived at the immigration counter. She asked to see my passport. As she thumbed through it, I saw that my name and nationality (Indian) were on a list she held in her hand, along with 3 others (all from Latin American countries). She then asked me to wait and took my passport away to an internal office. About 3 mins later, she came out, returned my passport, and sent me on to the immigration counter, where the agent confirmed with her a second time that I was ok. It was all pretty baffling as I travel a lot and don’t have a problem usually. In the end, all’s well that ends well. I enjoyed 3 days in Havana and left safely. And yes, it’s possible for Indian citizens to visit Cuba as long as they buy their visa ahead of time. There was also a visa counter in Havana airport that had a line in front of it, but I didn’t investigate that too much. Thanks for posting back here Roshan. Glad you managed to make your trip. I hope your info helps other readers as well. I am an Indian Citizen but live in the US with a US permanent residency. Based on your experience, if I can obtain the tourist card in the US, I should be fine upon arriving in Cuba? Did you have to face too much questioning upon arrival in Cuba other than what you mentioned? Thanks for your help! In the last line, you mentioned that Indians need to buy the visa ahead of time. I am flying with air canada and they said that they would give me tourist card on the flight. so my question is, is that good enough or i need a visa apart from the tourist card? I arrived in Cancun and tried boarding a flight from here to Havana and was denied entry to the flight. Was directed to go the Cuban embassy in Cancun to get a visa. It’s better to check in advance with the airlines whether you’d be allowed or not. @ Chirag: Can you please elaborate on what exactly happened? Which airlines was it? Did the airlines not provide you with the Tourist Card? What did the embassy say? Has anyone managed to visit Cuba from the US on an Indian Passport? The wiki article here https://en.wikipedia.org/wiki/Visa_policy_of_Cuba explicitly states Indians are not eligible for the tourist card and need to get a visa in advance. I have an Indian passport and a German residency. After searching online, sending emails and calling Cuban embassies (in India and in Germany) over a period of almost 1 month, I could not reach a single official (quite frustrating actually) who could confirm any kind of information (other than Indians need a visa to go to Cuba as per the text written on the website of Cuban embassy in India). Cuban embassy in Germany was simply not reachable for 14 days (for some unknown reason). There was only one “travel agent” from India who could assure me that I only needed this “tourist card” and not a visa. So I took a leap and here are the findings: I was stopped at Munich airport and at Havana airport by officials, and after some discussion with some other officials, I was let through. It seems that Indian passport holders, living in India, very much need a visa. Indians living elsewhere, on any other visas (business, tourist etc.) also need a visa. India does not sell “tourists cards”. So any person flying to Cuba from an Indian port needs visa (unless he is of other nationality and can acquire the “tourist card” somewhere else for e.g. on flight etc.) . If you are an Indian , holding a residence permit from a country which is allowed to visit Cuba without a visa, and if you your port of departure and arrival is both outside India, only then you can travel there with this “tourist card”. The last one was my case, and very few people, even at the airport seem to know this. Now, this information provided may not be 100% accurate, and of course the Cuban embassy (if reachable) has the last word on this. But from all the discussions I had with the officials while leaving Germany and arriving in Cuba, that was what I could conclude. I hope this helps. I am in the same boat as you. I am an Indian Citizen but live in the US with a US permanent residency. Based on your experience, if I can obtain the tourist card in the US, I should be fine upon arriving in Cuba? Did you face any questioning or issues during arrival or departure in Cuba? Thanks for your help! And just to add to the above post, if you are in the category that needs visas, you can get it in other countries, like Mexico, Canada etc. and the information about where and how is normally present at some airport desk or counter. About the travel card, I ended up buying it for 30€ but if you confirm with your airline, and they say they offer the card on-flight, you dont even have to buy it (Air Canada offers them, as I learnt a bit too late ) . Great Website and Blog ! Some of your entries were very helpful in planning my trips! Now I am planning a trip to Mexico-Cuba-US in Jan’17. I have got a Valid B1/B2 Visa, which will take care of Mexico & US entry. When I blocked the tickets, I was under impression that only Tourist Card was required to visit, but then just now I realised it is not that clear! I went through the various comments on this post regarding Cuban Visa for Indian Passport Holders. What I could take away was that Indian Citizens with Residence Permit in US/UK/EU have no problem in visiting Cuba with help of Tourist Card (Evident from detailed post of Aditi and some other comments earlier/tripadvisor forum). So, I have written to Interjet and Cuban Embassy in New Delhi. Not sure whether they will reply or when. So Ashray, my Question is – If airlines allow to board the flight, How risky would it be to travel to Havana with a Tourist Card and no Pre-Issued visa? I can definitely show financial means, accomodation proof and exit ticket if asked. But is that enough ? Have you ever faced a situation where they can deny entry ? If so what would be my options? So far I have been to some 20 countries, all with either Pre-Issued Visas or clear Visa-On-Arrival policies for Indians. Sorry for long comment. Please do share your Point of view when free. I got very prompt response from both Cuban Embassy in India and Interjet Customer Service. Cuban Embassy official was kind enough to give me a call on my Mobile number and explain in person first thing in the morning (I had sent a mail to the Consular Officer, marking the Ambassador of Cuba to India in cc). He said that I can obtain the visa from Mexico at a Cuban Consulate – There is one in Cancun. He also sent the details if I need to obtain the Visa in advance from Indian Embassy. However, that is expensive – $100 USD+ Per person – and it is in New Delhi, so there would be additional Courier/Agency charges. Interjet Executive on the other hand told me that Cuban Visa can be obtained in Mexico, either from the Cuban Embassy/Consulate or Interjet Travel Desk upon producing a Valid Passport and Ticket to/from Cuba. 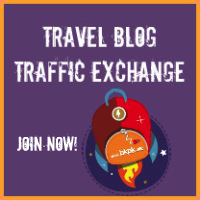 So after carefully assessing all the information shared in this forum, tripadvisor and basis mail exchanges, I have decided to not apply it in India, but either obtain it from the Cuban Consulate in Cancun or travel using Tourist Visa Card. I am an Indian citizen living in Kenya. I went on holiday to Cuba last month (October 2016). I bought my Cuban visa from the Interjet Travel Desk in Cancun for the equivalent of $13 (250 Mexican Pesos) and I was able to pay with my credit card. Definitely don’t pay $100 anywhere and you don’t need to go to a Cuban consulate if you are flying through Mexico. Prior to my trip, I had an online chat with the Interjet customer service who assured me of buying it in Cancun, and that’s exactly how it worked. I do have a valid US visa, though, which means I don’t need a visa for Mexico. Pardon, Rohit! Sorry for wrong name. Has something changed? As far back as 2012 there were several working ATMs in Havana. We could use those to get CUCs for our expenses. Of course, we could not use credit cards in most places and any card (credit or debit) associated with any American bank would not work. But this was before the sanctions were lifted so things should have become even better now. I did however manage to withdraw money (CUCs) from my Indian ATM card in Havana without issue. The catch at the time was that the debit card needed to be a VISA card as Mastercard is American and would not have worked. However, since 2015 apparently Mastercard should work as well. Just want to say that debit cards should work for ATM withdrawals in Havana and there are several ATMs around the city and even in the airport. Did you face any trouble by having just the tourist card upon arrival in Cuba? Ashray, you may be right about that. The 3-4 people in my group all were trying with American cards, including me. So I guess maybe it’s only American cards that do not work. I am in the same situation. please let me know, by commenting on this thread if you get a concrete information regarding the tourist card scenario. Hi i am Nepalese passport holder lives in Dubai. i got work permit for Cayman island.I booked my air ticket Dubai to Moscow, Mascow to Havana & Havana to Cayman island. do i still need Transit visa or not please help me. Most of these comments mention obtaining tourist cards at Cancun airport or on the plane. We are landing in Havan from the US. We are on L1/L2 visas. Will it be too much of a risk to just turn up? I cannot find a number for the NYC Cuban embassy and can’t get through to JetBlue. Please help! You should definitely confirm with the airline if they sell tourist cards before departure. It’ll save you a lot of worry on the day of your flight. Thanks Ashray. I will try to get in touch with the airline. In the meantime, I’m trying to find out info from the embassy in India. - confirmed round trip flight tickets. - bank statements, credit cards, etc, for demonstrate you have money to expend there. We advise you to send it(copy) to us this way, before you come to our office for the tourist visa the day before you flight. Public attention hours: 9:00 am to 1:00 pm. From Monday to Friday. As a response to a followup email i got confirmation that Cost is 285 MXP per Person and the process takes 1/2 Hour. I am in Cancun Area for a week, so will send the docs by E-mail in advance and collect the Visa the day before our flight to Havana. Thanks Rahul. However, we are not flying through Cancun so I’m not sure how to proceed. I looked up the US embassy website and couldn’t find any email address. Which address did you use? I’m currently stuck in Cancun and the embassy is closed for the day. Will it be possible to share the email address of the embassy so I can contact them ahead of time. Spent 5 days in Cuba from 20 to 24 Nov’2016. First tried at Cuban Embassy at San Jose , Costa Rica. The consular officer said specifically for indian passport the cost is USD 55 per person for visa. I refused and walked out. We straight went to Cubana Airlines office at San Jose and bought Tourist card from there for USD 15 per person and it worked like a breeze. So dont bother about what embassy says. Just buy the tourist card either at the airport or airlines city office and have fun at Cuba.. So I spent an hour at the Jetblue office. They said that we need to fill out an affidavit to get the tourist card. Tourism is legally not allowed and there is no tourism option on the affidavit. This is for everyone living in America, regardless of their citizenship. Yet, they apparently sell tourist cards at JFK and Orlando airports. Jetblue started flying to Havana two days ago! So they don’t have much data on this. Do any of you live in America? I’m a bit hesitant to go to the airport and finding that there’s an issue with the affidavit. Do you guys think that just turning up at the embassy here might help? Or just cause more problems? I need some information to be able to effectively & correctly reply to your question. Hence, I dont want to spam this forum with our to & fro communication. You may post your query on my Facebook page named Deft Indian & I can answer all your questions in detail. Hi all, I’m an Indian passport holder living in the US with an H1B visa. Im planning to fly to Havan from Cancun. I will be in Cancun for 4 days and I’m hoping to get a tourist card there. Was anyone successful in doing this and in a similar situation? Me and My wife are travelling to Havana from Miami April 2017. I am travelling on an Australian passport and my wife is on an Indian passport and we live in Australia. We have already booked the flights with Delta Airlines, Do you know if we can obtain the Tourist Card from Delta Chekin counter? Delta sells it at the airport. Irrespective of the passports you hold, you require one and can buy it before/while check in. Is there a website or so were we can confirm the same? Secondly we are in US for travel so will we have to fill the Affidavit? So after combing through the internet, talking to Jetblue and looking through other websites, this is what I have found out. All American passport holders and residents (regardless of their citizenship) need to fill out an affidavit stating your purpose for the visit. There is no tourism option for Americans or residents. However, there are other options that can be checked. The affidavit has to be presented at the airline counter where you can buy the tourist card. I tried getting in touch with the Consulate in DC. That is completely useless. I am just going with the option I have now and hope that we won’t be sent back. Thank you Ashray, Rahul and Ankit for your help! Did you have to fill out an affidavit? I don’t want to freak you out but airline websites say all Americans and residents need to have this affidavit. My guess is since you already have the tourist card, it shouldn’t be a problem. Here’s the link to the affidavit, just in case you want to take it with you. Have a great trip! Thank you so much. So your suggesting just printing this out and carrying it in case of emergency? Can you please share your experience as I am in the same boat as you are. Indian passport, with B1/B2 Visa, travelling to Cuba from Mexico and need to know if I can do with a travel card. You’re welcome and yes. There seems to be consistency in anything. So what should I fill in this form? Could you help me please what to tick? Incase of further query, please drop a message on Deft Indian Facebook page. I’m an Indian citizen working in the US on H1B visa. Planning to travel to Cancun and go to Cuba from there. Will it be a problem for me to get a tourist card? I’m flying Cubana. My trip is in 2 weeks. I live in Toronto in Work permit. I have booked a vacation package to Cuba. I hold an Indian passport. Please let me know if I need any visa for Cuba or the tourist card which I will get in flight will be okay for it? I did gather some information and talked to my airlines. The tourist card available at airlines will be sufficient. There is no need to have separate visa to enter Cuba. Thanks a lot for the info. What airline are you travelling with? I am flying with airtransat. Will you please update me once you get back from there? Would be grateful if you could share some of the experiences there. I just got back from Cuba. Thank you for tolerating and answering my questions before I left. I thought I will pay it forward by giving some information. 1. If you live in the U.S., you have to fill out an affidavit, whether you are a citizen or not. We checked the ‘support for cuban people’ as an option, which was fine. 2. We traveled with Jetblue to Havana. They issued us the visa/tourist card at the gate, one hour before departure. No questions were asked. We had to pay 50$ per head for the visa. The card is a pair of pink slips. 3. In Havana, they don’t know which box to put you in, if you are an Indian passport holder but live in the U.S. They pulled us out of line and stamped our passports, and retained one of the pink slips. You will be required to give the other one on your way out so make sure you don’t lose it. There were no issues enrtering the U.S. with the stamps. In fact the officers were friendly and curious about Cuba. I do haveUS B1/B2 visa, want to travel Cuba through Cruise from US. Do Indian national need A1 visa although if we have B1/B2? The B1/B2 visas are for people who enter USA temporarily for business (B1) or for pleasure. Relevant to travelling to Cuba from USA on the right visa is your permanent residency status, so in your case the correct approach is to obtain your visa from the Cuban embassy in USA. Officially, you should apply for a “sticky” Tourist Visa to through a Cuban embassy in the USA (as distinct from the “pink” tourist card issued by US airlines). In practice, some travellers have been lucky and their US airlines have allowed them to purchase the pink tourist card. However if you are refused this at the airline gate, you might not have a very nice holiday! I have an Indian passport but I’ve been working in the US on the H1B visa. I didn’t go to Cuba directly from the US. I flew from Cancun. Cubana airlines refused to give me a tourist card. I had to buy a ticket from Interjet to obtain one. Luckily the Interjet flight was cancelled and I got my money back and Cubana then allowed me to fly stand by on a different flight. When I got to Havana, the immigration had no questions about the tourist card nor did the US officials say anything about my Cuban stamp when I got back. I’m in a fix and would appreciate if someone can help me. I reside and work in Malaysia (with a work permit that expires in June 2017). However, when I spoke to the Embassy and was sent the list of documents required for Visa, there was no mention of that clause about Work Visa/ resident Permit’s validity. I have been calling/ mailing the Embassy here for clarification – but they have gone silent. So, my question is, has anybody here, who works/ resides in a different country than his/ her country of origin applied for a tourist visa for Cuba and if so, is it necessary that the work/ residence permit needs to be valid for at least 9 months from the date of travel? I have a valid US H1B visa and I plan to fly interJet from Merida (Mexico) to Havana. B) Get Visa from Cuban Consulate in Cancun. I am planning to go for Option B next week. Can you please share the mail id of Cuban Embassy in Cancun? Interjet wrote back to me saying they issue tourist cards to all nationalities- but since all other sources say Indians need a pre-approved visa before boarding a flight to Cuba, I don’t know if it is a good idea to try that option. So I was thinking of getting a Visa from Cancun, if possible. Please share the id if you have so that I can get in touch with them. I just got back from Cuba last week. My husband and I are on L1/L2. We traveled with Jetblue and bought the card from them. It was extremely simple and hassle free. I had checked on various forums, including this one and most people said that buying it from the airline seemed like the easiest option. However, do make sure that they are selling it. I had emailed and called the embassy as well, without success. Hi Sharwari. Thanks for this information. Did you fly directly from US to Havana or through Mexico? Hi Manas, we flew directly from the US to Havana. We are from India coming to US with a B1/B2 visa. We plan to visit Cuba in May last week.we plan to fly through Jetblue. Can we book tickets now and collect Cuba tourist card from airlines before boarding? Hello everyone, just an update. We just traveled to Havana and back from the US. Indian citizens don’t need a visa from the Cuban consulate, but need to buy a tourist card (only Cuba travel services, google them, sells those in the US, at this time.) for $85/person + $25 shipping. The US doesn’t care if you visit Cuba, the officer only asked us what we were doing in Cuba and no further questions were asked. I am a postdoctoral fellows in Mexico. I am from India. I have a temporary student resident permit for Mexico. I want to travel Cuba from Mexico city. DO i need a visa or something like that prior or only tourist card is ok? Your reply and information will help me planning my trip. We succesfully visited Cuba last month. Flew in from Cancun, flew out to Orlando. We took the Tourist Card from Cuban Consulate in Cancun for 345 Mexican Pesos (<$20) each. It is exactly same as Tourist card sold by Airlines, but with the entries computer printed and with official seal of the Cuban Consulate. Still we were asked a few Qs at immigration point in Havana airport by senior officer after counter person referred us to him upon seeing our Indian passport – like where are we coming from, where do we plan to stay, how long in Cuba etc. But we were allowed to enter immediately after the officer got the answers and browsed through our PP. Following your lead, I got in touch with the Cuban Consulate in Cancun and have just emailed all my documents to them (tickets in & out of Cuba, Bank Statement, accommodation booking, etc). Will collect the Tourist card from the Consulate once we are there. I just wanted to know if asked the reason for travel to Cuba,especially at US Immigration, should we say Tourism or stick to People-to-people exchange/ Helping Cuban people as the reason for visit. I just posted a question on this thread separately. This particular reply sure does calms the nerves. I am going to fly to Cuba from Mexico City. Have mailed the Embassy for the procedure for the tourist card a week and a half back, but, no response. I am planning to take the other option. To buy the tourist card at the ariport. I am flying with Interjet. The only bone of contention was that I am an Indian Passport holder residing in India and I keep travelling to Latin America for work. This time, I decided to take some time off to visit a country for liesure. I have my to and exit tickets booked and will have the hotel booking in a day. Just wanted to know if, apart from the tickets, is there anything else that we need to have to buy the tourist card with any of the airlines. I know that you have taken the card from the embassy in Cancun, but, in Mexico city, it is coming out to be an operational challenge. Please do help with a reply. I am scheduled to fly to Cuba this week but I have just been told that Indians require a special A1 visa. i was under the impression that a tourist card would suffice. I am also flying directly back to the US, so at customs, I have to say i was in Cuba. Will that be a problem? Were you able to get to Cuba without an A1 visa? I am travelling soon and in the same boat as you. Would appreciate any thoughts/suggestions. No such question was asked to us. We were prepared to answer with the standard response anyway – Understanding culture/Meeting people etc. There are regular flights to US now. Lot of visitors from US Traveling back and forth. I know I am probably the nth guy asking this question, but, please help me with my case. a. Is it possible for me to buy the tourist card from the airport counter before my travel date? b. Apart from the entry and exit tickets, would I need anything else? Tourist card can be purchased from the Airlines counter. This can be confirmed by checking with the Airline Customer Service. 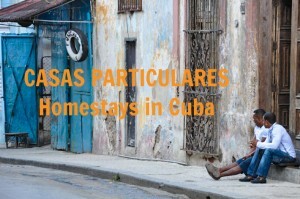 In Cuba, you might be asked for proof of Accomodation and Return ticket. Better keep that ready. I am going to Cuba next week on a direct flight. Do I need an A1 visa or just a tourist card? Also will the US customs have a problem if I tell them I am coming back from Cuba? Would appreciate if you can share your experience – did you manage to buy the tourist card through Interjet before travelling to Cuba from Mexico. Also, regarding Medical Insurance – did you buy it after reaching Havana at the airport and if so, did you pay in U$ or CUC. Look forward to your reply, since I will be travelling to Cuba soon and am on the same boat as you were. Interjet office said that it will be available for sale at the time of check in. This being the first time I am doing a heist in Cuba w/o a visa taken from India, couldn’t take chances, so, I went to the Embassy to get the tourist card. It turned out to be USD 60( more or less, considering the peso exchange rate), but, they gave the card in 10 minutes. Thereafter, it was smooth all the way. At the Interjet counter – would have got the tourist card for USD 25, but, well, my paranoia. There would have been no issue whatsoever if I were to buy a tourist card at the counter before checkin. In fact, a staff member was at the entrance selling these cards. I already had my travel Insurance with me, so, I did not buy any. Neither was I asked to show it. Hi Akash, hope you had great time in Cuba. Is it necessary for the traveller to be present to collect the card and what are the documents you had to submit? The reason I ask is if there is a possibility, I can ask a friend in Mexico to collect the card on my behalf. Visa if applied via an agent here from Bangalore is costing 10,000 INR. And then if the consulate sees it required, the applicant may have to attend a face to face interview. The stay was pretty relaxing and pleasant. If you are choosing the Cuban Consulate in Mexico, you will have to go and submit the documents in person. Be sure to carry the amount in cash as they ask you to submit the amount in their account at the nearest branch which is about 4-5 blocks away(don’t remember exactly). Documents required by the consulate – an entry/exit ticket and hotel reservation. Charges for Indian Passport holders is roughly USD 60(converted from Pesos). At the Interjet counter, this card will be availabe prior to check in. During my time, they were only asking to show the ticket out of Cuba. Both methods are good to go. If you want to confirm the necessary documentation required by Interjet for peace of mind, simply drop in a mail to them regarding the same prior to your travel. They usually respond in 24 working hours. I am an Indian passport holder in the US (no PR). I am flying directly to Cuba (Miami-Havana). Do I need an A1 visa or will a tourist card suffice. if I am asked at customs, where I am coming from I have to say Havana. Any suggestions? Got southwest tickets from Fort Lauderdale to Varadero and back for April 15th, 2017. Got the tourist card online – when I checked in with the Airlines, the visa company called Cuba Tourist Services (CTS) wouldn’t hand over my visa to me >_< !!! But southwest was nice about it and gave me the money back – will try again via Cancun!! I am so sure had i been able to get the damn tourist card i would have been able to go – but whatever, i'll try again! Did they just not send it to you? What was their reason? Well at FLL airport these CTS guys saw my passport and said you do not qualify for Tourist Card. If they would’ve mailed it to me, i think i would easily make it to cuba – cubans allow me or not is still a question. I am planning to fly to Havana over a long weekend from US . 1.The best things to do in 3 nights 2 days . I will try to call Air Canada and inquire about Visa Card . 2. 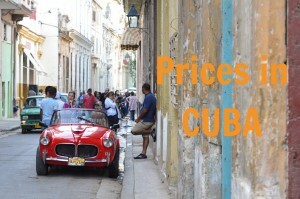 How much Cuban currency be needed for Local expenses ? And the best place to get them ? 3. Do i need to get a local tour guide etc . ? I am planning to visit Cuba from Toronto, Canada. I have Cananda multiple visa with Indian Passport. So could you advise can i get visa on arrival or do i need to applye from India before depart. I am planning to visit on 18th August. I am travelling with my daughter in law and grand daughter without my son. So will i need any NOC letter from my son or not required. Also my grand daughter passport is expiring on 21 May 2018 so validity of passport is more than 6 months from date of travel. There are rules. and there are people who follow them. IATA provides airlines with up to date information on visa requirements, so I can tell you what they are. However, it seems when you arrive in Cuba the Customs folk just need to ensure you have some valid form of entry, and they appear to deem the Tourist Card acceptable. In simple terms, unless an Indian national has permanent residency status in USA, Canada or an EU country, you need to apply to a Cuban Embassy/Consulate for a tourist visa. In practice, as noted from many above, the tourist card is freely available to transiting passengers at that last transit port. Prices will vary, as many have posted. To settle it for once and all, let me share my personal, first and experience. I will talk about visa requirement specifically for Indian citizens living in Canada as temporary (on student or work permit) or permanent residents as I belong to one of the above two category. So I went to Cuba in February 2017 from Canada on a student visa through Air Transat. I DID NOT require any visa to enter Cuba because I has a valid student permit. I visited the Cuban Embassy in Ottawa multiple times. They told me that I would need to provide a list of documents to receive the tourist card and fees of around 88CAD. But I had read on this blog and few other websites that it is unnecessary. So I went straight to airport and talked to Air Transat officials. They assured me that I don’t need anything apart from my passport and Canadian study permit. I still had no written document to prove it to Cuban officials that I was legally entitled to enter their country. I just took the leap of faith and boarded the plane. They handed the tourist card inside the plane. Though this, I have been told differs from one airline to another. Some issue it at the time of boarding. Long story short, I cleared the immigration unscathed, barring few questions from immigration officials at varadero airport. But everything else went smoothly. My personal gratitude to Ashray and Zara for sharing the most valuable and authentic information possible about this highly tricky topic. I suggest anyone who’s in my boat now to ignore reading up about Cuban Visa online as almost every single website will tell you a different story and it is extremely frustrating. Please trust these 2 here. Canada and the USA are different countries, and US airlines flying you directly into Cuba MAY require you to have a visa, or they can refuse to allow you to board. You MUST check with your chosen airline to ensure you can purchase a “tourist card” from them, which they typically will offer with the airline boarding pass when you arrive for your flight. Guys , how about a US Resident flying from Canada . Does a valid Canada Visitor VISA work to fly to Cuba without having to get a VISA ? If you have US residency status – called permanent residency – and you intend to fly into Cuba you must be prepared to make an OFAC declaration to the US government because you are not allowed to travel as a tourist to that country, irrespective of transiting from USA, Canada, or Mexico. However, as a permanent resident of USA you DO NOT apply for a visa from the Indian Embassy, because you airline will require you to use a Tourist Card, which they will offer for purchase or advise on precurement. Air Canada handed mine to me during the flight in to Cuba. I stay in Detroit and i mostly fly from Toronto for my international travel, so if i travel from Canada to Cuba with a US VISA then i do not need to worry about getting any kind of A1 VISA , correct ? That was my question. Your H1B visa is a “work” visa and the issue relevant to travelling to Cuba from USA is if you have permanent residency status. My suspicion is that you are unlikely to be a permanenet resident if you are on H1B. Officially, you should apply for a “Tourist Visa” to your embassy. In practice, you could catch a bus to Toronto, and jump onto an Air Canada flight to Havana, and complete your Tourist Card inflight – no questions asked. On return to US soil you might be asked a reason for travel, and if you say you went to Cuba they will offer you an OFAC declaration. Tick the box “support for the Cuban people”, and you should be good to go. I have no knowledge about visa requirements to fly from US. However I can help you with things to do in Cuba. If that is something you want. This is what I needed, I’m traveling there soon and I’m on a student visa – hopefully, there shouldn’t be a problem! Guys , how about a US Resident flying from Canada . Does a valid Canada Visitor VISA work? Guys/Ladies , How about creating a whatsapp group and discuss the visa situations , not just limited to Cuba but other countries as well?? I lost you somewhere in the threads. However, Air Canada flights from Toronto to Havana do not usually check your passport details when handing out free Tourist Cards in flight, and on arrival at Jose Marti International Airport you simply present it to Customs, answer the usual questions they ask and pass through. If you were to try this from an Airport in USA they may insist you have a Tourist Card they offer through the carrier, or if they check IATA, they might tell you that without a visa issued by the Indian Embassy, you cannot board the plane. The bottom line for your situation is that if you are not a permanent resident of the USA, do not try to fly direct from the USA to Cuba without a visa unless you are certain the airline will allow you to board. The Visa would need to be issued by the Cuban Embassy. Sorry I could not properly correct myearlier message. I’ll be travelling to Cuba from Canada. I’m an Indian passport holder and I am currently on a work visa. I also have the return entry visa eligible for the next 3 months. I contacted my airline and I was told I will need a tourist visa. Can you please guide me through this process? As to how I can get a tourist visa/card before boarding OR will I need a tourist visa and card before boarding?, will the airline sell me one when I board the flight? Tourist “visas” for entry to Cuba are ony issued by Cuban embassies or consulates, so you either visit one, or find their website and download the Tourist Visa Application Form, then post off all they request to issue your visa. The VISA is expensive, and the CARD is likely to be free – depending on your chosen airline. 1. When do you check my permanent resident details? 2. When do you provide your travellers the Tourist Card? 3. Is there a charge for the Toursit Card? If they do NOT check your permanent resident details, then you can “pretend” to be a permanent resident and you then will be able to complete a Toursit Card, which will allow you entry into Cuba. I’m an Indian citizen living in the US on an F-1 visa. After deciding to not risk traveling with just a tourist card in case I’m not allowed to board, I contacted the Cuban Embassy in DC. I got a response from a different email address, saying that I could send a passport photocopy, a money order for $70, and a stamped return envelope to them, and I would get a tourist card (I’d heard that this would have the information printed on it, and a seal/stamp). I did this, and never heard from them (it has been several weeks now, and they haven’t replied to any of my emails). I contacted the travel agency working with my airlines (Cuba Travel Services), who said that I could not travel with a tourist card because I am not a green card holder, and have to get an A-1 visa. They requested that I send them my passport, visa application, passport-sized photograph, and money order for $120. I tracked someone down who used this agency, and received an actual visa pasted in their passport (i.e. not just a tourist card). I’ll post a update when I get my passport back, and after I travel. Your immediate departure point to Cuba determines many things, so leaving from USA will have different rules to leaving from Canada. Cuba Travel Service is absolutely first rate and a number of US airlines use them to provide tourist CARDS for their US passsengers. My view is that it is worth the expense given your problems with the Embassy (good to know, but BAD that it happened). Note that Americans pay anything from $50 to $100 (depending on their airline) for their Cards, so you are not paying too much more. The application form for a Toursit Visa OR Card is usually the same, but as you note, the VISA is stuck into the the Passport. The Tourist Visa itself is returned to you with a section under visa “type” and this is the only time you will see this category, because it is NOT listed in government application forms. I hold an Indian passport and want to travel to Cuba. Where do I need to apply for this tourist card? I cannot advise you until you can tell me which country you last visit before flying into Cuba, even if it is just a transit port. This has been a very helpful thread. Im going to add another one to the list of queries– I’m an Indian citizen with a student visa in the US and I plan to fly to Havana via Mexico on Interjet airlines. Im told Interjet provides the tourist card during my transit and I plan to tick the category “support for Cuban people”. My only concern is my return to the US as I plan to fly directly from Havana to JFK. Would this affect my re-entry in any way? I mean, I have a valid student visa but not the A1 that’s required to travel from US to Cuba as a non US resident. Would I have to book a return via Mexico as well? You have confused the Tourist Card which is required to be presented to Cuban Customs Officers when you land in Havana, with the OFAC license card that is only provided to boarding passengers departing direct flights from USA to Cuba. It is true that if you fly from Mexico direct to Havana your airline will usually sell you a Tourist Card BEFORE you board your flight. I do not know what Interjet does, so make sure you contact them to see how they offer the Tourist Card for your flight. In strict theory you should have a Toursist Visa (type = A1) which is supposed to be obtained from a Cuban Embassy or Consulate, but if you were to obtain it from the Cuban Consulate in Mexico it is exactly the same as the Tourist Card and cost about the same (from all reports here). No matter, because Cuban Customs only require that you have one or the other and do not bother which one it is. Here is the tricky bit. In theory you are proposing to travel to Cuba while you are under US jurisdiction (you are presently in the USA on a student visa). So in theory you are supposed to visit Cuba under an OFAC license category (the best one is usually “support for the Cuban People). However, you will not be asked by any airline to present an OFAC declaration because they only collect these IF you board in the USA, and you board in Mexico. There is a very slight chance that US Customs and Border Protection (USCBP) might ask you for the purpose of your visit when you land at JFK. Just say “support for the Cuban people”. USCBP have nothing to do with OFAC and don’t care right now why you visited; they just ask the question because that’s what they do! I hope I have covered your points. Hi, I am a Bangladesh passport holder living in Canada as an International student. Do I need to apply for visa ahead of time to travel to Cuba? If you tell me which airport you will travel from to get to Cuba, then I will let you know. Hi Rob, thanks for your reply. I will be traveling from Toronto airport. Are you flying Air Canada? Air Canada (via “Rouge”) issues all passengers with a Tourist Card on the flight from Toronto to Havana – it is free of cost because your ticket price absorbs the fee). So do several others leaving out of Toronto (but I only travelled Air Canada). In theory the Cuban Embassy MUST issue your visa (which is STUCK into your passport and is very different from the Tourist Card which you write your details on and keep until you arrive at Cuban Customs). However, I suggest you contact Air Canada and ask them if using their Tourist Card is acceptable. See what they say. They may make a note against your booking advising that you are good to go, or tell you that you just have to contact the Cuban Embassy and get the “sticky” visa). The only impediment you will have in this entire process is if the airline does not let you board in Toronto, because Cuban Customs does not care if you have a Tourist card or a visa – they both allow entry into Cuba. Thanks a lot Rob for the details! Just for clarification I do live in Canada with study permit. So I was a little confused when you said Air Canada might not let me board. Would you please clarify? Thanks again. It looks like my earlier reply did not upload. So here it is again. When you book your ticket with Air Canada they are supposed to check with you that you have the correct “visa” to let you enter Cuba. That is because their checking system tells them that YOU need a “visa” from the Cuban Consulate, and not a Tourist Card. However, sometimes they do not check and many people who are supposed to have a “visa” simply do not get one and instead fill out a Tourist Card once they have boarded the flight. Because I have an Australian passport, I was never asked. I simply do not know what would happen if you tried to go without a “visa”, and that is why I suggested you check with Air Canada what their procedures are. The link above mentions an “A-1″ visa, but in reality you apply for the Tourist Visa because there are no boxes on the application form for an A-1 visa – it’s just noted under “type” when the visa is stuck into your passport. I am having Indian passport issued in China. I am living in China and also have US business visa on passport. I want to travel Havana as a tourist. I just read in wiki that Indian passport holders must obtain Cuban visa and not travel card. Can I get Cuban visa from China? Please tell me the port you transit through to get to Cuba, because sometimes you will not need to get a Visa through the Cuban Embassy. I do not have whatsapp to reply to you. I am planning to go Havana in October. I dont know about the port name. Sorry, I need to know how you get there, which means you need to know which airports you travel through. Without that information I cannot help you. I will fly from Hong Kong. Will take via one stop flight. Hong Kong to WHERE, then to Jose Marti. I need to know the WHERE before you arrive at Jose Marti. If it is in the USA, then you need to check with your carrier because some let you board with a “Tourist Card” (which they sell to you for between $50 and $100), although you are supposed to have a Visa. If it is Canada, then you also need to check with your carrier, because most will hand you the “Tourist Card” to complete during the flight to Havana. If it from Mexico, most carriers will sell you a Tourist Card for about US$20. In theory you are supposed to always have a Visa. But in practice many get to Havana with just a Tourist Card. Customs in Cuba do not care which you have because both will get you in to the the country. 1. The Cuban embassy is saying (and has been saying as far as I can remember) that Indian citizens always need a visa. 2. The IATA database is saying that Indian citizens always need a visa except for when they have a US residence permit/European residence permit. 3. The immigration authorities in Cuba are OK with Indians just having a tourist card. It’s a pretty baffling situation. It’s worth mentioning that when I visited Cuba in early 2012, the IATA database said that Indians could travel there on the basis of a tourist card purchased from the airline. So what they say changed sometime between then and now. So the reason I’m writing this here is because I’m curious to know if there is any publication or communication at all from the Cuban authorities on this matter. I’m not talking about embassies because clearly they’ve been giving out false info for the longest time. I’m talking about perhaps the foreign ministry or the Cuban immigration authorities in Cuba saying something on this subject. There’s a lot of confusion out there and I’m sure it’d help travellers if they could have some clarity on this. I’ve been looking around the internet for further information but haven’t found any. Did anyone else have any luck? Thanks for your excellent summary. Points 2 & 3 are correct. Cuban Embassies are notorious for not being particularly helpful and it may be because they are not well trained on the detailed requirements essential for for travellers to be compliant. I am not sure of what the situation was in 2012 when you travelled, but it is clear that Cuban Passport Control do not seem to differentiate the “card” from the “sticky visa” for arrivals. I too have looked for something definitive on the internet, but have found nothing which clarifies the situation. IATA should always be the travellers bible, for the reasons you outline. But when Cuban Embassies do not follow their nation’s official advice the next step is to deal with practicalities. That is why I always suggest that travellers check with the airlines they fly on, because if their practices allow you travel with a Tourist Card to Cuba it seems silly not to follow it. As a very quick aside I coresponded with an airline in the USA that did not understand that its booking site stipulated a rule for travel FROM Cuba to the USA which did not actually exist. They agreed to let me book over the phone instead! From the many questions here, the greatest concern for Indian citizens is where they transit from a USA port to Cuba. This is because there has been a progressive crackdown on the airlines to ensure passengers are IATA compliant BEFORE boarding. So, unless an Indian national has permanent residency in the USA, unless you have a visa issued by a Cuban Embassy you are unlikely to be allowed to board the plane on US soil and head to Cuba. Travelling via Canada or Mexico seems less strict, and the “rules” appear to be determined by one’s carrier. An Indian national who has permanent residency in the USA can travel to Cuba with a Tourist Card purchased from their carrier at their port of departure. Otherwise, you must obtain a visa issued by a Cuban Embassy or you are unlikely to be allowed to board the plane on US soil and head to Cuba. I will fly from Hong Kong international Airport and land to Jose Marti international airport T3 in Havana. Got it. Thanks a lot. Earlier I was planning to go through HK-Dallas-Miami-Havana route or NYC route. But now I think HK-Mexico-Havana route will be better. Also I try for proper visa too. Thanks a lot for your help Rob. If you fly through Mexico, just buy a Tourist Card at the airport, from your carrier. That’s because the Cuban Embassy in Mexico will give you a Tourist Card if you call in there, and not a Visa. I am an Indian passport holder traveling to Florida in US business visa. I am planning to visit Cuba from Florida. Booked return tickets from Florida. Can you please help me with visa procedures. Thank you. The requirement is that you apply to the Cuban Embassy for a Tourist Visa, and NOT the separate Tourist Card. However, confirm this with your carrier, because some do not know the rules and they may let you board with the Tourist Card which most other passnegers will be buying. Quite separately your carrier will ask you to complete a “declaration” for the US government – you need to choose from one of the 12 categories, and most are now choosing “support for the Cuban people”. You r carrier will collect this declaration from you before boarding your flight to Cuba. I am an Indian National currently working in Tanzania, Africa. I am planning to Travel to Cuba in Dec- Jan 2017 for tourism purpose. I have read lot of comments by each of you on visa regulations for Indian Passport Holders. But I am bit confused with all suggestions. I will be travelling to San Francisco first and then to Cuba. Now my travel route to cuba depends on the ease of seeking Tourist Card. There are direct flights from SFO to Havana or I will go via Cancun, Mexico. This has dirct implications on my flight cost as well. I also want to understand is there any concern on flying back directly from Havana to New York. I tried to write to Cuban consulate in Tanzania but no luck so far. I will try to call them over the week days. I would really appreciate guidance or help in this and help me in finalising my plans. I’m a South African passport holder, currently in India (on tourist visa). Next I will go to Nepal and the plan is to fly to Cuba from there, probably Aeroflot/Russian airlines or Turkish Airlines as they offer the cheapest flights. Will they be able to sell me a Cuba tourist card at airport in Kathmandu? I doubt it! Or can the tourist card be obtained during transit in Russia or Turkey just before the Cuba leg of the flight? What are the other options? Can the TC be picked up from somewhere in Delhi perhaps? I am doing long term travelling/backpacking so returning home to get a visa/tourist card form embassy at home (South Africa) is not an option. Please help me out if you’ve had similar problems, or if you’ve traveled to Cuba from Asia, how did you get around the tourist card/visa issue? It’s best you ask the airline if they can sell you a tourist card during transit before your final leg. (usually that’s where they will sell it to you) So if your flight is KTM->Moscow->Havana, then at Moscow. If you decide to fly Turkish, please ask them before you book your ticket. They should be able to sell you one at Istanbul airport if that’s their policy. I am an Indian living in Denmark. I have both the USA and Canada tourist visas. I will be flying to Cuba with Air Canada from Denmark – Toronto – Havana. I heard tourist card will be given out in the flight. I hope that the Tourist card will do? It should be fine since you’re a resident of Denmark. There seem to have been some changes in the rules but it looks like European residents can still go based on a tourist card. I am still awaiting some guidance on my query. I am unable to get through Cuba embassy in Tanzania. No body answers the phone and email keeps bouncing back. Hi I am a indian passport holders (NO US or Schengen or Canada viaa) , do i need apply for VISA? According to the latest rules, in your case, it’s safer to apply for a visa beforehand. What route are you taking to Cuba? If travelling direct to Cuba from USA, then apply for a visa through your nearest Cuban embassy. If travelling through other countries it may be easier to purchase a “tourist card” from the airline. For example, Air Canada hands them out to travellers on their flights to Cuba and the tourist card cost is part of the ticket price (it’s not actually free, but most people say that it is). After much deliberation and planning, I finally made it to Cuba and back. I’m an Indian citizen with a F1 visa in the US. I took a JetBlue direct flight from NYC to Havana and back. While booking my ticket, I chose “Support for Cuban People” out of the 12 options available when booking flights from US jurisdiction. Just get yourself to the airport on time and get your visa at the JetBlue counter. Easy as pie. No questions asked on my way back at JFK other than how beautiful it was. You should all go right now without giving it a second thought! Some airlines will check their travel booking system’s requirements and deny boarding to Indian citizens who have not applied for and received the “sticky” visa from the Cuban embassy, so you were lucky. I suggest you arm yourself with a little more information in future so that you are prepared for a worst case scenario and your trip is not ruined on return. We 2 are Indian citizens and have multiple entry US B1/B2 visa. In Feb,2018, we went to USA & then Mexico. We had a flight from Cancun, Mexico to Havana,Cuba by Interjet as tourists. Though visa card was available for purchase, the airline refused to accept that card unless stamped by Cuban Embassy. We could not fly on Saturday, went to Cuba Embassy on Monday, got visa card stamped by the Embassy & flew on that day afternoon by buying a fresh ticket. It is better to get Cuba visa from New Delhi before leaving the country. Airlines ultimately determine who boards their planes, and the rules they apply. Air Canada, for example, would have given you a visa during the flight to Cuba, and it would be exactly the same as the one you needed from Mexico to Cuba. Just be aware that if you had purchased your visa from the Cuban embassy in India before travelling it would have cost over 5 times more (6400 rupees + GST 18%) than from the Cuban embassy in Mexico ( approx. US$20 or 1300 rupees). I have Indian passport, now working in Russia, with a 1 year visa. I want to visit Cuba this month. Can I buy Tourist Card for Cuba from AEROFLOT/Russian Airlines in any city in Russia? If yes, would I then need to get the TC stamped by Cuba Embassy in Moscow before boarding? Usually an airline will only sell the tourist card from the departing airport to Cuba, but you need to check this with Aeroflot. The tourist card itself is only ever stamped on arrival in Cuba. Previously they retained half the card and you kept the other half with your passport, but nowadays you keep the whole card with you until departure. I am an Indian passport holder with a Schengen Visa living in New Delhi, India. I plan a return trip from Cancun to Havana. Do I need to apply for a Cuban Visa from India, or will a tourist card work? As a general rule, always first check if your airline at Cancun will sell you a Tourist Visa over the counter. I agree with what Rob says, but having recently visited Cuba, I had to get a visa. It’s really easy and hassle free. Just take over your with you the proof of income and stay, with your return tickets to the consulate in Cancun and after paying for the visa, they’ll have it stamped in your passport. The whole process takes around 30 minutes. Hey everyone, I’m an Indian national currently in Mexico. I have come here on work, on a Canada Business-Tourist visa and my Mexico Forma Migratoria Múltiple (FMM-Mexico tourist card) says I can stay here for 180 days. I would love to visit Cuba on a weekend. Will I have to surrender my current Mexico FMM when I leave Mexico? What if on return to Mexico, I am not granted the same stay of 180 days? It’s a little problematic since I am on work. Does anyone know if cruise lines (Royal Caribbean in particular) follow the same rules as airlines? I’m a permanent U.S. resident with an Indian passport, traveling to Cuba. I’ve called/emailed many different places and keep getting contradicting answers. The cruise line folks say I will need to get the A-1 separately, even if I’m a permanent resident, since I have an Indian passport. As you are have permanent residency you follow the same rules as any other traveller from the USA. Your cruise line’s advice is not correct, and I do not know where they get it from. Airline travel information is found here: http://cms.olympicair.com/timatic/webdocsI/spdbmainv.html – add your details and it confirms what I have said. And yes, the same travel rules would apply if by cruise or aeroplane. If the cruise line tell you differently, just insist that you have received official advice from the Cuban Embassy in Washington that they only require the “pink” visa issued by the cruise line. Thanks Rob! I’m guessing maybe the people answering the phones for the cruise line are not aware of exact regulations and just say the “safest” answer to cover themselves. Hopefully it’s not an issue when I try to board. They also told me I need a visa for Mexico, which I absolutely don’t as I’ve been to Mexico without one just fine. UPDATE– I just got back from the cruise and had an amazing time in Havana. I wanted to make a post in case anyone else was wondering about cruise immigration in Cuba. As mentioned before, I have a Greencard and live in the U.S. but I do have an Indian passport. Immigration was super simple in Havana and they did not even ask me to show my Greencard, they just looked at my passport and stamped it. I gave them a filled out pink tourist card same as all American citizens. Hope this helps anyone who is traveling on a cruise. However, I have come across numerous posts only to get confused – I am an Indian passport holder, however have a temporary Canadian visa/ Work Permit and reside in Canada. I am planning to fly to Varadero from Toronto. I wanted to confirm, if under such circumstances, I would require a visa in addition to the Tourist Card. First, the VISA has two versions: One is applied for at a Cuban Embassy and “stuck” in your passport (some countries still use a “stamp”. The other is a TOURIST CARD, and this is issued by carriers (airlines and cruise ships) for a fee, except for those flying from Canada where the fee is incorporated in the fare. In theory you are not a permanent resident of Canada and are supposed to apply to a Cuban Embassy for your visa. In practice, contact your airline and ask if they will issue you a tourist card as ultimately they decide if you qualify. any information on this will greatly appreciated. The Cuba visa rules require you to obtain one before your flight, from a Cuban embassy or consulate. However most flights from Canada hand out Tourist Cards after boarding, as the cost of the Tourist Card (which is also called a visa) is included in the ticket price. Confirm this with your carrier before flying. In 2016 I had a Work Permit in Canada, and in spite of the airline ticket including the Tourist Card cost, I was denied boarding because Temporary Resident in Canada with an Indian passport requires a visa beforehand issued by the Cuban Consulate. I was able to travel to Cuba last month as I now have my Permanent Residence and no questions were asked so just had to show them my PR card to be allowed to board the flight. I am not sure about how it works via USA or Mexico, but as of now, airlines in Canada do check your documents and ultimately it is at their discretion on who can or cannot board the flight. Tourist cards are provided inflight.